Apple Airpods made headlines when it was launched with its no wire and unique ‘applesque’ design. It made a new standard for earphones, but now a second generation of Apple Airpods are coming soon. The Apple Airpods 2 were seen last year on the Bluetooth SIG website. It was confirmed that they would be having the newest version of Bluetooth, version 5.0. The release of the Airpods 2 is not known till now and no official comment has come from Apple Inc, but we can see them releasing this year. According to rumors Apple Airpods 2 might work with wireless charging pads, much like what we saw on Galaxy Pods leaked pictures last week. According to a report, the Airpods 2 will look more or less the same as its predecessor from the outside. But it’s on the inside where things change, it might have more bass response than the original Airpods. For better grip the upcoming Airpods will have a new coating on top that will be similar to what Google uses for their Pixel smartphones. We might see similar coating on the upcoming iPhone 11’s high-end variant as well, releasing later this year. There is a chance that the alleged Airpods 2 might be released with Apple iPhone 11 itself. It’s not first time the news and leaks about the Airpods 2 has surfaced online. It happened in the previous year where it was claimed that it will have more sensors than the original Apple Airpods. The leaked report also suggested that the new Airpods might be used for health features, which might include a heart rate monitor in them. If this tale is true than Apple might be learning something from Samsung. It has been putting health monitoring apps and features in its phones and accessories for a long time. The battery of the new Airpods is said to be similar to what the Airpods 1 had. 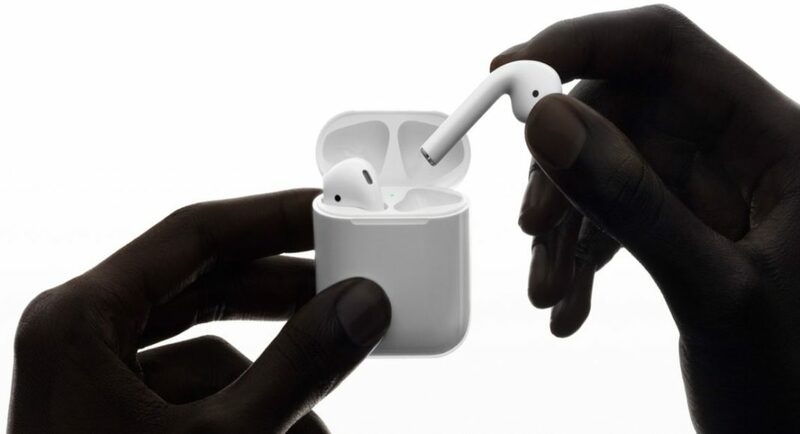 Nonetheless, they will be coming in two colours – White and Black, while the Airpods 1 came only in White. Now for the most important part, the price of the Airpods 1 when launched was $159 (Rs 11,300 approx) but the Airpods 2 is expected to be priced at $200 (Rs 14,200 approx). Yes, it is costlier than its predecessor but if it will have any of the above things then the price might be justified.